In this second part of my chat with Kev Blackburn of Life Success Engineer, we continue discussing goal planning and 2019. Hello and welcome to episode 55 of my Working With Podcast. A podcast created to answer all your questions about productivity, GTD, time management, self-development and goal planning. My name is Carl Pullein and I am your host for this show. 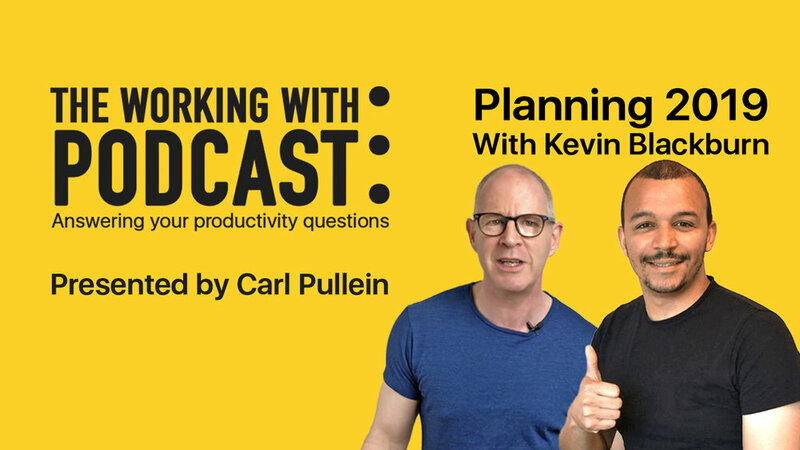 In this second part of my special goal planning and 2019 episode, Kev Blackburn, THE Life Success Engineer and I discuss a few goal planning tips and tricks that will help you make 2019 your best year yet. So, sit back, enjoy, be inspired and we continue where we left off.